Bali has a charm that is at once welcoming and unique. The lush vegetation greets the wide open sea along varied, storybook coastlines. When you combine the pristine touches of nature, the artful design of modern and classic architects and the delectable cherry on top, the all-inclusive experience, you get an amazing vacation. 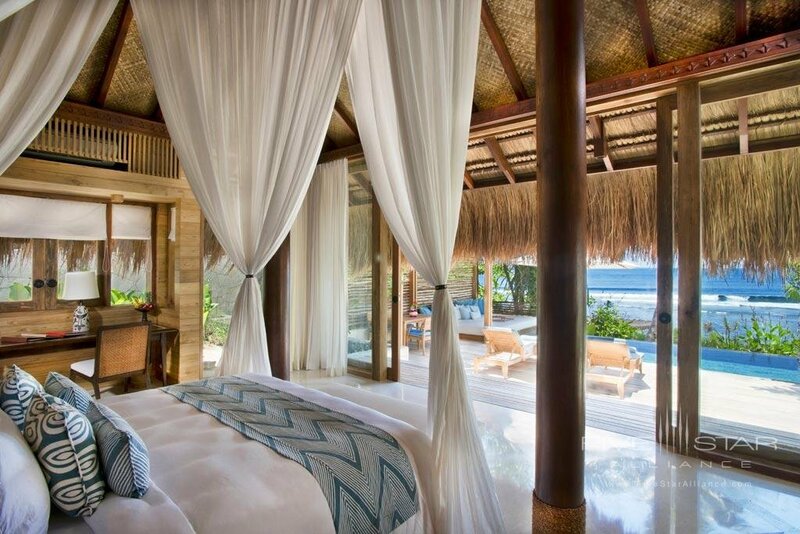 Here are some of the best Bali all-inclusive resorts. Even though Samabe Bali is perched on the edge of a hill on the sea, it still offers direct access to a comfortable white sand beach. The all-inclusive experience features the Rempah Restaurant. Chefs serve up a combination of Balinese Asian, Mediterranean and Indonesian cuisine. Or you can try out the Crystal Blue Ocean Grill, which delights with seafood, and the best of Balinese barbeque. If you feel like lazing around and letting time slip by, you can even have your food in your room. For fun in the sun, enjoy unlimited non-motorized water sports activities. The good times continue inside with a complete spa center and gym. 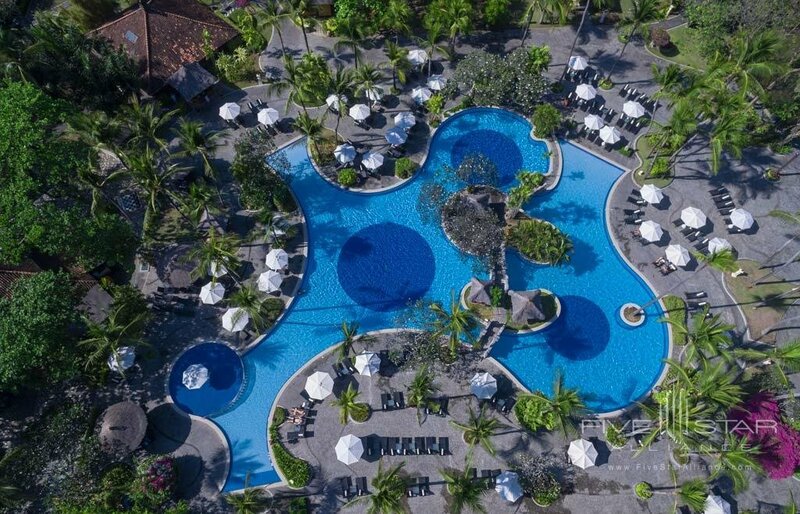 A short, 15-minute hop from the airport, Melia Bali in Nusa Dua greets guests with an expansive grounds of green, welcoming grass and all the traditional touches of Balinese culture. The lagoon-style pool extends through the grounds, giving guests the chance to slip out of their rooms and relax with ease. Rooms are tastefully accented with natural hues inspired by the woods of the area as well as the centuries-old traditions of stonework Bali is known for. Indulge in five different restaurants, three bars, and a coffee shop. The all-inclusive package gives you access to everything from gourmet Japanese cuisine to finely crafted Spanish tapas and paella. Dine by the beach or on the patio, and then have a sip in the well-appointed lobby at the modern, yet relaxed bar, surrounded by smooth, dark woods and a vaulted ceiling. Nihi Sumba gives guests an immersive experience meant to provide distance between them and their hectic lives back home. In the process, not just new experiences, but new perspectives are discovered. The area’s sea life, hiking adventures, and elegant waterfalls all beckon guests as they unplug and unwind. The dining experience is enhanced with local fish, vegetables and herbs and several carefully designed restaurants. Take in the sea with your feet in the sand as you enjoy a meal at Ombak. The Nio Beach Club and Pool focuses on enticing, yet healthy fare, and Kaboku provides a fresh sushi experience framed by an idyllic beachfront background. Bali is a place inundated with sights, sounds, and flavors unlike any other in the world. 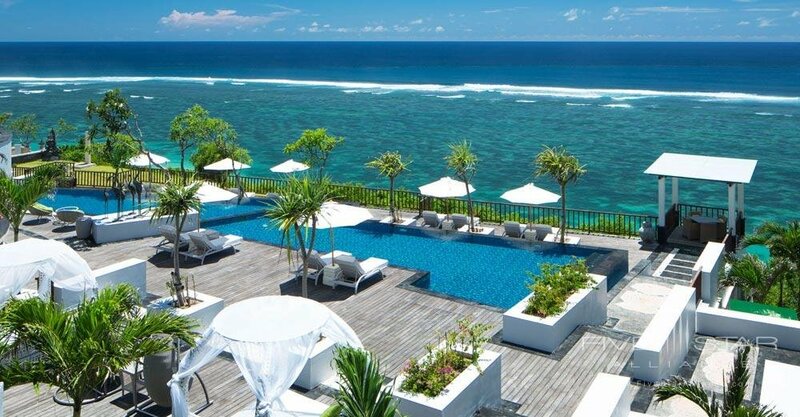 These hotels in Bali provide all of the above. Bali’s secret is an incorporation with all that is untouched by humans with the classic influence of tasteful architecture and landscaping. Enjoying what it has to offer in the context of all-inclusive options adds a flare of indulgence that makes the experience all the more ideal.